Visiting the dentist isn’t high on anyone’s list of favorite things to do, but undergoing a routine appointment every six months is vitally important for your oral and overall health. You may not notice too many effects if you skip one or two visits, but over time, ignoring the need for dental care can take a real toll. 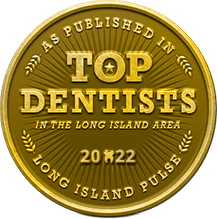 Keep reading to learn more about what happens when you don’t make it in for regular dental care — and how your Long Island dentist can help you enjoy caring for your smile. One of the most apparent effects of ignoring your six month checkup and cleaning is plaque and tartar buildup. It’s something you can see and feel. Tartar is that yellow substance that changes the color of your smile, and it can make the backside of your teeth feel rough and unpleasant, too. Unfortunately, plaque and tartar buildup also greatly increase your risk of developing tooth decay and gum disease, which can lead to a host of other side effects — including toothaches, red gums, and more. People who do not visit the dentist regularly are at a much higher risk of developing gum disease, which occurs when plaque and tartar are not routinely removed from the surface of the teeth and around the gums. The number one warning sign of gum disease is bleeding gums. Left untreated, this condition can lead to total tooth loss. Your dental hygienist can remove bacteria buildup that you just can’t reach with a toothbrush and floss alone. People who haven’t visited the dentist in awhile are more than twice as likely to have gum disease or gingivitis due to bacterial buildup — and bad breath is a major (and majorly unpleasant) side effect of this condition. Bacteria doesn’t only build up on your teeth and around your gums. In some severe cases, it can also appear on the surface of your tongue to give it a white coating. This indicates serious infection — so it’s time to visit the dentist as soon as this happens to you. Rates of oral cancer are on the rise in our country, and you may think you are invincible — but the disease is striking young, otherwise healthy patients more frequently than ever. When you visit your dentist regularly, we can catch the early warning signs of precancerous or cancerous cells to ensure you receive treatment as soon as possible. In these cases, visiting the dentist regularly could potentially save your life. 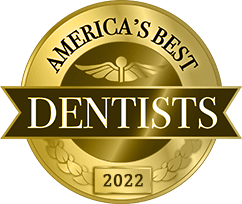 These are just some of the things that can happen when you skip out on the dentist — but no matter how long it has been, your Long Island dentist will never make you feel guilty or judged for missing routine dental appointments! The important thing is that you start somewhere. No matter how long it’s been since you visited the dentist, you are always welcome to experience judgement-free care at ASM Smile Creations! 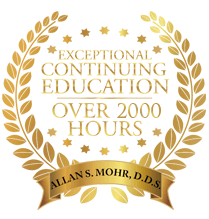 Dr. Allan S. Mohr is a trusted general and cosmetic dentist offering care for Long Island patients of all ages. 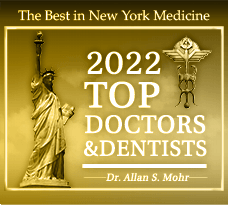 To learn more about his services or to schedule an appointment for a checkup and cleaning, we invite you to contact the office at (516) 541-7344.
by: allanmohr at March 28, 2018 .